December 17th, 2015. 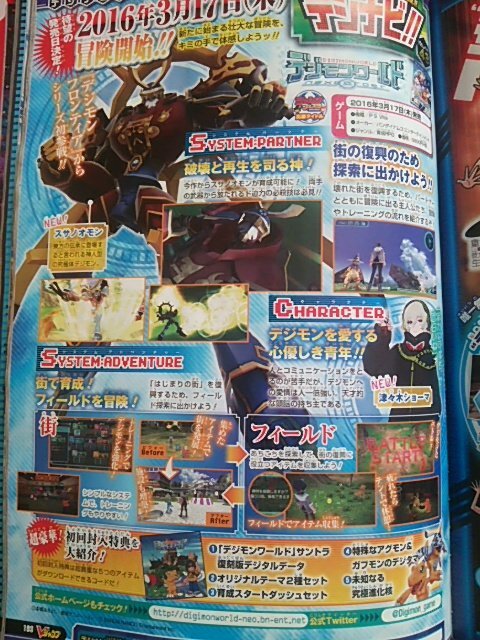 Leaked photos of this month's issue of V Jump magazine show recently-leaked Susanoomon in Digimon World -next 0rder-, confirming the previously-announced release date of March 17th, 2016. This issue reveals the new character Tsuzuki Shouma (津々木ショーマ), who is described as a young man that has trouble communicating with people, but loves Digimon and has a gentle heart. The main topic of this month is -next 0rder-'s adventure system, which is broken down into two parts: town development in the Village of Beginnings, and field exploration outside of it. In the field the player can discover items that can then be brought back and installed in the town, to aid in its reconstruction. 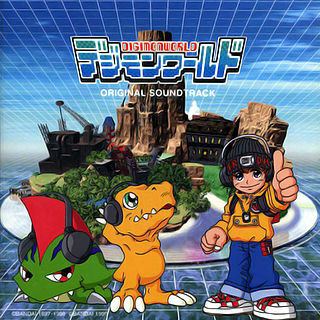 The training features of past Digimon World games return, enabling the player to evolve their Digimon in what is described a simple and accessible system. The player thus proceeds in an exchange, training and evolving their Digimon in town before going out to search for resources that can then be brought back to the Village of Beginnings. V Jump also covers the preorder bonuses for the -next 0rder-, which include a reprint of the Digimon World soundtrack using the original album art, two exclusive themes for the Vita, a "Start Dash set" of items that will help with raising the player's Digimon, a special Agumon & Gabumon Digitama, and download codes to unlock certain Ultimate Digimon. Nice, the soundtrack has the same art! Of course I'm pumped for the game as well. Gotta continue learning Japanese so I can play it though. Of course with cyber sleuth coming to America and Tri being a huge success, a localization seems possible now. Still hoping for Decode to come over. 3DS is still popular after all. I would like to see Decode come over as well, and it would certainly be good for the community to finally get it after all their hard work, but it's probably for the best that -next 0rder- be officially localized first. The 3DS is going to be around until at least 2018 or 2019, while the Vita may not last another year. Getting them out of order would provide the greatest chance for success overall.